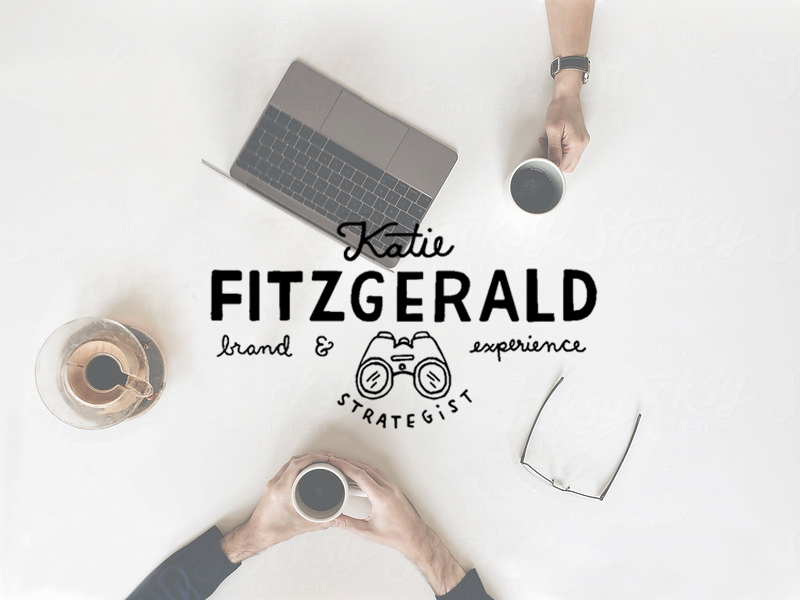 Katie Fitzgerald is a brand & experience strategist who came to me looking to update her logo and branding with something more unique and modern. I worked closely with Katie to discuss the vision for her brand and what she wanted to communicate with her new identity. Ultimately,I created a simple, clean hand-drawn type treatment, coupled with a simple binocular icon that could be used on it's own. I began by talking with Katie to get a better sense of who she is, what she does and the goals for her brand. She provided me with some inspiration she had saved as a guide for how she saw the end result of her new branding. From there, I completed several rounds of roughs, sending each round to Katie and implementing her feedback for the following round.